RAW HOLLYWOOD : NEW MUSIC: MA$E FEAT. 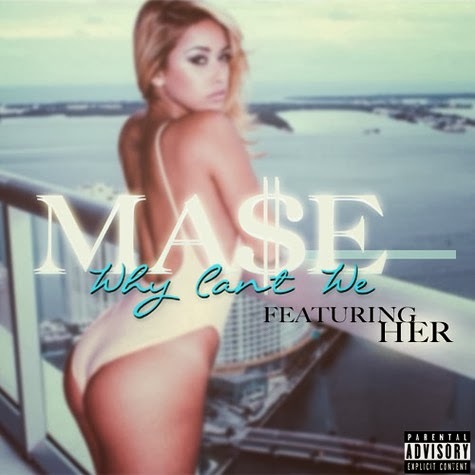 HER "WHY CAN'T WE"
NEW MUSIC: MA$E FEAT. HER "WHY CAN'T WE"
It has been a very long time since the world has heard any new music from former Bad Boy Records artist Ma$e, but with 2014 right around the corner he just might be making his return to the scene. Mr. Harlem World has released a new track in the form of "Why Can't We" featuring HER, the song takes a trip down memory lane with a 90's hip-hop/r&b sound that once ruled the airwaves. Ma$e is currently working on his first studio album in nine years called Now We Even. "Thanks for all u supporters who inspire me. Here u go. Enjoy. If u love Ma$e u will love this."